Third, just like South Korea in A.D. 1997, overly-indebted Greece has been colonized—not by the IMF, but by the EU and ECB using the same financial tactics that were previously used by the IMF against Korea (and God only knows how many other nations). Fourth, the overly-indebted governments of Portugal, Spain, Ireland and perhaps Italy will also soon be faced with choosing between “voluntary” acceptance of colonization by central bankers and a painful economic depression following national bankruptcy. If those governments are run by the same sort of self-serving, treasonous politicians that seem to thrive in most modern democracies, they’ll surrender their last vestiges of national sovereignty to the central bankers and thereby become colonies and administrative districts of the EU and, ultimately, the New World Order. Once you connect the dots between what happened to South Korea in A.D. 1997 and what happened to Greece in A.D. 2015, you’ll understand what’s likely to happen to every other overly-indebted nation on earth (including the US) that refuses to file for bankruptcy and instead opts for economic colonization. Fifth, as philosopher George Santayana once observed, “Those who won’t learn from history, are doomed to repeat it.” This article will hopefully illuminate some history concerning the national danger of national debt. Those who grasp that history may be able to prevent their overly-indebted countries (including the US) from being reduced from the status of sovereign nations to that of central bank colonies. In A.D. 1997, the IMF and South Korea entered into a financial “bailout” agreement. Under the terms of that agreement, the IMF would supply overly-indebted and insolvent Korea with $55 billion so Korea could avoid declaring bankruptcy and sliding into an economic depression. In return for the $55 billion, Korea agreed to surrender control of some of its banking and financial systems to the IMF. The agreement outlined a war, surrender, and conquest of an entire nation reminiscent of Joseph’s conquest of Egypt. Ohh, this “war” wasn’t like a script for a Rambo movie, full of bullets, bombs, and special effects. But this wasn’t a Holly­wood war; this was real world economics. The agreement described a real war fought according to ancient principles outlined by the Chinese warrior-king Sun Tzu in his book, “The Art of War.” According to Sun Tzu, the highest form of warfare is that which overcomes your enemy without ever resorting to overt violence. In other words, any fool can win wars with firepower, but only a genius can wage and win war without firing a shot. In A.D. 1997, the IMF defeated and colonized South Korea in a battle that was so “artful” that not only was no shot fired, but most of Korea didn’t even know that a war was being waged. Closely exam­ined, the 46-page agreement between the IMF and South Korea was a peace treaty containing the terms of Korea’s unconditional surrender to the IMF—a grand master of the “highest form of war”: economics. All of which may be interesting, but why should Americans care whether Korea was defeated in a bloodless war? Because the world’s central bankers have almost certainly planned a similar coup for every other nation on earth—including the US. The most current victim is Greece. If you read the third Greek bailout agreement (see, Tsipras’ Choice: Total Capitulation or Grexit), you’ll see that it’s also a surrender essentially identical to the Korean surrender of A.D. 1997. You can bet that the next “bailout agreement” with the next overly-indebted nation to face bankruptcy will be virtually identical to the A.D. 1997 Agreement between South Korea and the IMF. Nothing new under the sun. You can also bet that, because we live in an era where all modern currencies are “debt-based,” all nations will eventually go so deeply into debt that they’ll be forced to either file for bankruptcy or voluntarily choose to accept colonization by a central bank. 4) Once the central bank has acquired ownership and control of a nation’s primary economic and financial institutions, that nation will have been reduced from the status of a sovereign to that of a perpetually-indebted colony. Are Central Banks Really Here To Help Us? The IMF is generally viewed as an organization that “gives away” money to nations that are “developing” or recently destabilized by their own financial mismanagement. In the late 1990s, the IMF was in the news for its repeated attempts to stave off financial chaos in Indonesia, South Korea, Japan and Russia by injecting capital into those unstable economies. Presumably, the IMF’s seemingly benign purposes justified the financial burden placed on the American taxpayers. I.e., by providing our currency to help stabilize foreign countries with irresistibly cheap loans, Americans preserved foreign markets and manufacturers necessary to maintain our own standard of living. The IMF was privatizing the profits indirectly derived from its loans, and socializing the losses. In other words, if the IMF loaned currency to a struggling nation, the primary beneficiaries of those loans would ultimately be private, multinational corporations who could buy the nation’s properties at dirt-cheap prices. However, if the struggling nation fell into bankruptcy despite the IMF loan, who got stuck paying for the loss? The global “society” of taxpayers who provided the money to subsidize the IMF in the first place. Taxpayers provided the capital for the loans. Multinational corporations reaped the profits from the loans. Central bankers gained economic control over the insolvent nations. At the time, Suharto’s son’s carping about receiving cheap loans seemed ungrateful, ludicrous, almost paranoid. But, Suharto’s son wasn’t alone in his accusations. Other nations (like the US) which seemed to contribute most of the endless sums of currency that the IMF “donated,” also viewed the IMF as something vaguely sinister and conspiratorial. Judging by the IMF’s A.D. 1997 bailout agreement with South Korea, they were right. Note that the IMF’s colonization strategy starts with “cheap loans”. The IMF baits its trap with loans that are so cheap, the recipients can’t resist. After all, only a real “benefactor” would lend currency at such low interest rates, right? Because the loans are so cheap, the recipients borrow more than they need. They don’t realize that they’re borrowing more than they can hope to ever repay until it’s too late. But the IMF knows that that sooner or later, the loan recipients will be forced to choose between being bankrupted by the excess of “cheap loans” or surrendering their national economic control (and national sovereignty) to the IMF. The central banks and IMF built a mousetrap (debt-based currency) that was so much better than previous traps, that even the mice beat a path to the bankers’ doors. In a conventional mousetrap, you dab a bit of cheese on the trigger, the mouse tries to get the cheese, triggers the trap, and dies. In the IMF mousetrap, there’s no conventional trigger. There’s nothing to kill the mice, only to bind them down with chains of debt. Instead of using a dab of cheese to attract the mice to the trigger, the IMF places a block of “cheese” (debt-based currency) the size of your stove in the middle of the kitchen and lets the mice eat all they want. Free cheese! Free lunches! A cheeseball in every pot! Free debt-based currency. All you have to do is promise to repay! How easy is that?! Ha!–the IMF will trust you to make good on your promises. Surely, the IMF must be the greatest benefactor we’ve ever seen! Hail to the IMF! The mice get so fat gorging on all the free cheese (debt-based currency) that they become too fat to work, too dependent on government handouts to support themselves, and too fat to run away when the benign IMF pussycat turns out to be a panther. That’s when the IMF reminds the mice that the cheese was not a gift, but only a loan that must be repaid or the bankers will completely cut off the supply of cheese. The mice are too fat, broke and lazy to repay, so the IMF seizes their mouse holes and puts the mice to work spinning hamster wheels. The IMF’s mouse trap doesn’t kill the mice, it enslaves them with chains of debt. And it all starts with tons and tons of seemingly free “cheese”—a debt-based monetary system. In A.D. 1997, like several other “Asian Tigers,” South Korea nearly slid close to national bankruptcy and economic depression. Did the Asian Tigers slip accidently? Or, were they pushed by their “free cheese” distributors? Whatever the cause, under the pretext of helping to avert that national bankruptcy, the IMF offered South Korea a $55 billion bailout. That bailout was not a gift. It wasn’t wel­fare. Instead, it was a loan premised on Korea’s acceptance of various new rules and some shocking political and economic concessions. South Korea’s avoidance of bankruptcy and economic depression was guaranteed—if South Korea agreed to surrender its economic and politi­cal sovereignty to the IMF. The IMF agreement precipitated much dissent among Koreans concerned with losing their nation’s sover­eignty. But eventually, faced with the alternative of a painful national bank­ruptcy, the agreement was accepted, the $55 billion “loan” received, the economy sustained, and the sovereignty surrendered. South Korea traded its sovereignty for a bowl of pottage. The 46-page IMF agreement with South Korea was marked “STRICTLY CONFIDENTIAL” and “NOT FOR PUBLIC USE.” However, in A.D. 1997, the Korean newspaper Chosun published a photocopy of the document on the Internet at http://www.chosun.com/feature/imfscan/report1.htm. As I recall, there was a great commotion over Chosun’s publication of that “STRICTLY CONFIDENTIAL” agreement. The IMF tried to intimidate Chosun with threats of lawsuit. Chosun refused to back down—at least initially. The report remained on the internet long enough for me to download a copy. That copy might still be in the archives of my own computers. I’m looking for it, but so far, haven’t found it. 17 years is a long time to store documents on your computer. So far, I can find the article I wrote with references and quotes from the original agreement, but I haven’t yet found the actual agreement. Surprisingly, I can also no longer find that agreement on the internet. Perhaps, I’m too inept to find it. But there’s plenty of evidence that the agreement did exist. You can find a mass of articles describing that agreement if you Google “1997 IMF agreement with South Korea”. But the complete text the agreement has, so far, eluded me. More, I haven’t even been able to find the text of the agreement on the IMF’s website. There are articles about the agreement, but I haven’t yet found the text of the agreement itself. Almost everything anyone’s written in the past 50 years is somewhere on the internet—except (so far as I can tell) a copy of the 1997 IMF agreement with South Korea. There may be a benign explanation for that omission. However, having a suspicious mind, I believe that that agreement is no longer on the internet for the same reason I wrote about it 17 years ago—the world’s central bankers don’t want it found. 3) Unable to borrow more, those nations are faced with bankruptcy. 6) Result? A once sovereign, but imprudent, nation becomes a central bank’s colony. Get that? The once-sovereign nations surrender their sovereignty for a bowl of fiat pottage. That’s how it was done in South Korea in A.D. 1997. That’s how it was done in Greece in A.D. 2015. That’s how it will be done to the US at some point in the future—unless Americans become willing to “take their medicine” and elect leaders willing to declare national bankruptcy; destroy the national debt and the perpetual chains that debt will otherwise create; endure several years of the resulting pain of economic depression; rebuild from scratch; and move on with their lives with their national sovereignty intact. What do you suppose are the chances that the American people are any more willing to take their medicine (bankruptcy) than the people of South Korea or Greece? What do you suppose the chances are that, faced with a choice between national bankruptcy and economic depression on the one hand, and national colonization by central banks on the other, US politicians will be any less cowardly, treasonous and self-serving than those of Korea and Greece? The lesson in all this is that when the time comes to choose between 1) a painful bankruptcy and subsequent economic depression and 2) the illusory salvation of another bailout and deeper, endless debt, the responsible choice is bankruptcy. Given the chance to choose between more debt (bailout) and no debt (bankruptcy), smart nations and smart governments choose bankruptcy. Economics is as much an “art of war” as an intellectual science. People must learn to recognize that when their nation is faced with choosing between national bankruptcy and the deeper debt and national colonization of bailouts, the responsible and patriotic choice is bankruptcy. You can’t take the central bankers’ bailouts without losing your national sovereignty and individual freedoms. Next week, in Part II, I’ll present the evidence that supports my argument that central bank bailouts colonize nations, destroy national sovereignty and individual freedoms, and bind the people down with chains of debt. The lesson of the Articles of Confederation: In order to participate in the financial plane a country needs to have a capital (aka a municipality). This is the capital that the territory is attached to. All countries that are recognized as such have a capital. Even states have them. At the county level they are called county seats. They all are the seat of government. Now as to who owes the money … Bouvier says that a municipality is the officers that represent it. This might be the monarch, dictator, governor, president or mayor. 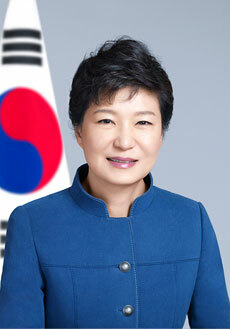 In the case of South Korea Seoul would be the municipality designated the capital and Park Geun-hye is the borrower in chief. The government of Greece has actually made statements on this topic. In their particular situation, they considered bankruptcy the worst of a bad set of options. When handling the international Money Power, the people of Iceland showed us how. The Icelanders took charge of their destiny and vigorously pursued their interests by opposing the legitimacy of the debt itself, rather than playing by the bankers’ rules and limply surrendering the farm in bankruptcy. Now their economy is one of the top performers in Europe. Hey discussion , I Appreciate the details – Does anyone know where I could get access to a blank a form form to edit ?